NEWARK, N.J. (CBS/AP) Homeland Security, the agency responsible for keeping America safe, is now trying to determine how Tahaya Buchanan, a wanted fugitive in New Jersey, worked for the agency in Georgia for two years despite a nationwide alert for her arrest. Buchanan was sought on a 2007 indictment on charges of staging the theft of her Range Rover in order to collect the insurance. 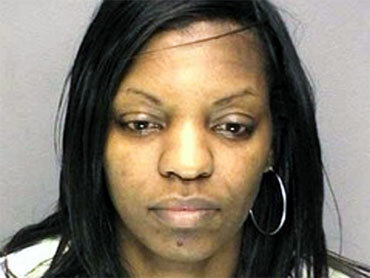 She pleaded guilty to one charge of insurance fraud on Monday and faces three months probation. Paul Loriquet of the Essex County Prosecutor's Office told The Newark Star-Ledger that the U.S. Citizenship and Immigration Services office in Atlanta was unaware of the 39-year-old's status even after Buchanan was arrested in July during a traffic stop in which police noticed the warrant. "We do background checks for every new employee and periodic checks of existing employees," Citizenship and Immigration Services press secretary Chris Bentley in Washington said. However, Bentley was not sure what happened in Buchanan's case. She started working for the old Immigration and Naturalization Service in 1995 in Newark, he said. He was not sure when she moved to the Atlanta office, where she was an immigration service analyst. "One of the things we have as a requirement is when an employee is arrested or has an encounter with law enforcement, they are required to self-report to supervisors," Bentley said. An investigation into whether she told her supervisor is ongoing. Officials were also reviewing her employment in the wake of her guilty plea.